I started by die cutting a Hello word out of light grey cardstock panel, I was careful to keep all the pieces (including negatives) on my work surface and also cut the same word out of dark grey card; I inlaid the dark grey hello onto the light grey panel and filled in the little gaps using the little light grey die cut pieces, to make sure all stayed in place I secured the back with lots of black foam tape. Next I stamped the Oh, onto a light grey panel using black ink. 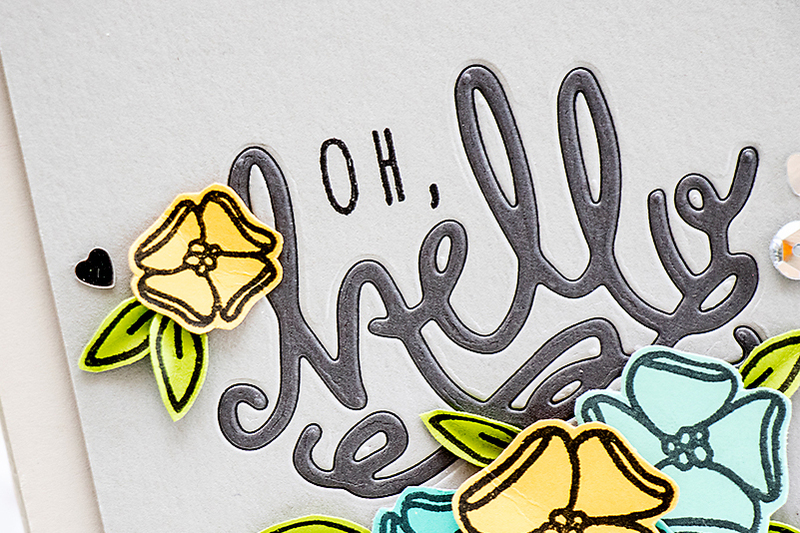 I also used stunning Send Pretty Mail stamp set flowers and leaves and stamped those in black ink onto yellow, light blue and green leftover pieces of cardstock, cut them out and adhered onto my panel. Finally I adhered the panel onto an even lighter grey card base and embellished my card using sequins. This is gorgeous Yana! 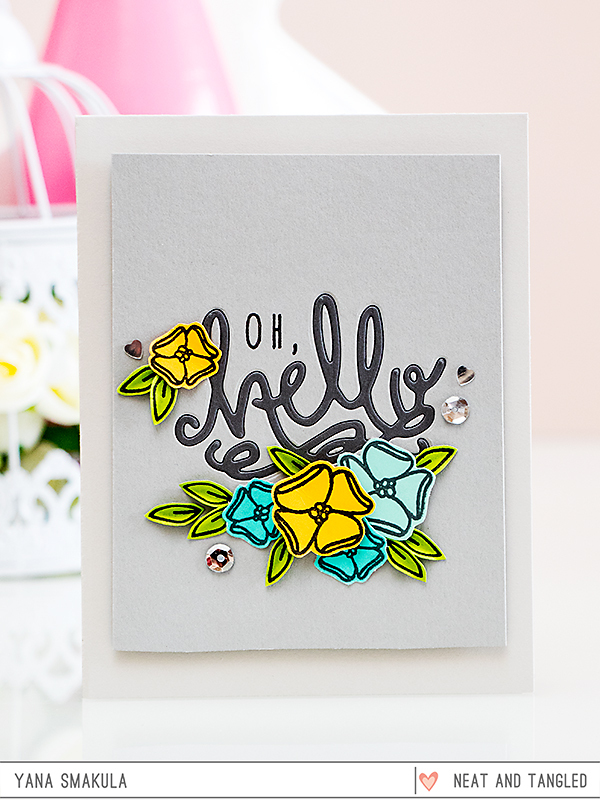 I love the angle of the hello and the cluster of flower, love your color choices too! The flowers really pop! haha, thank you Teresa! So glad to hear it! все таки серый смотрится очень здорово, а в сочетании с желтым и голубым так вообще шикарно, замечательная открытка! 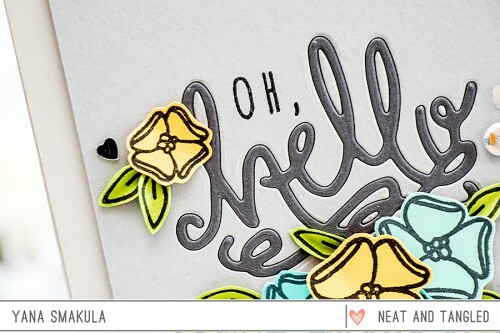 Such a bright and happy card Yana! Beautiful how the flowers pop off from the grey! Great design again!! Such a lovely card! The yellow and grey are great together.